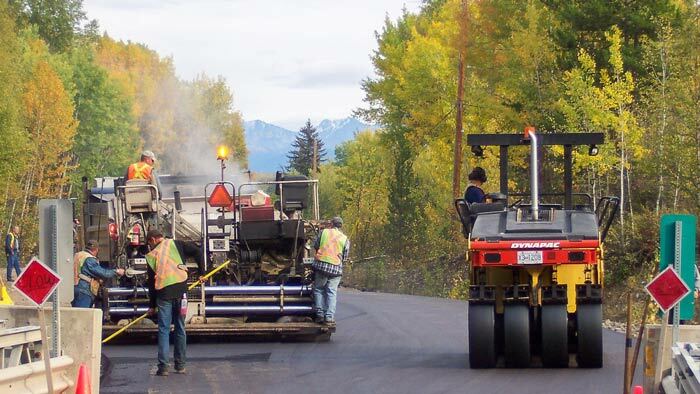 Nechako Northcoast Construction, a road and highway maintenance company, uses Flowfinity mobile forms and workflow software to streamline call logging, road inspection reports, maintenance job tracking, and communication with its stakeholders. 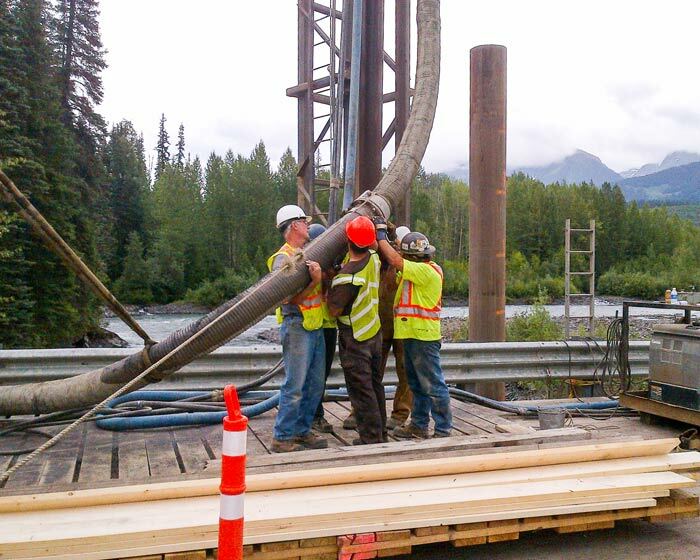 Nechako wanted to leverage mobile technology to improve efficiency and documentation in the field and at the office. The team initially transitioned from using paper forms in the field to a software solution specifically designed for road maintenance projects, but they found it was lacking in mobile capabilities. They had to hire the software provider each time a change was needed to a mobile form, which was a costly process and didn't provide the flexibility they needed. 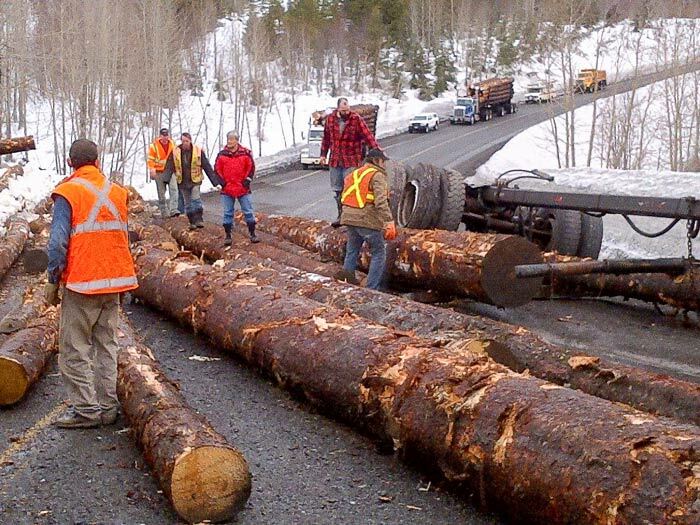 "When we wanted to make changes to the previous solution, it was slow, time consuming and expensive," said Benjamin Davidson, IT Manager, Nechako. "We wanted more flexibility to make changes as different business needs or government regulations came up." At the office, Nechako's admin team takes calls from the general public. They needed a way to record call information and initiate critical follow-up procedures when road issues were reported, to better serve stakeholders such as the Ministry of Transportation, local government agencies and the public. "We wanted more flexibility to make changes as different business needs or government regulations came up." Nechako wanted a mobile form and business process solution to replace the existing system in use. The software needed features for building highly customized workflows to accommodate the various steps required when a road issue is reported, planned for repair and followed up. The solution also needed integration capabilities, an easy-to-use tool for building apps, and full offline functionality. "We wanted to be able to do all of our data entry on mobile devices and have it sync up with a central data repository," said Davidson. "We have teams working out on highways and roads out of cellular range, so we needed apps to be fully functional while offline." It was important for mobile forms to work on different mobile devices such as iPad, iPhone, or Android. "We needed cross-platform support so that we could transition away from using BlackBerry phones, and have the flexibility to switch devices in the future," said Davidson. 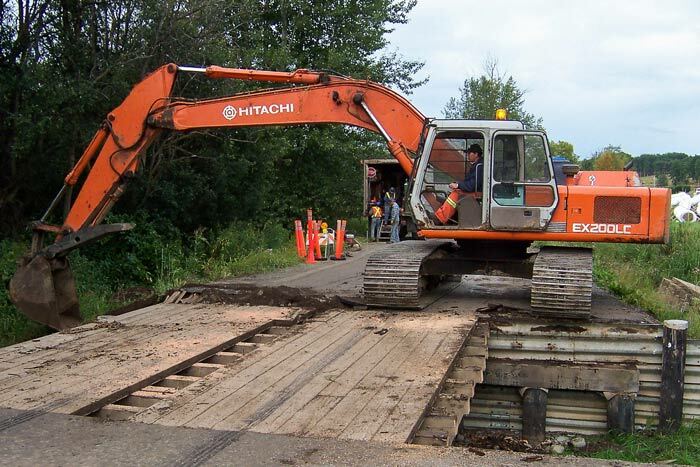 Using Flowfinity software, Nechako first created a stakeholder communications app that allows admin staff at the office to log calls from local government agencies and the public to report road issues, forward the issues to management and field staff, and follow up on the repair work. 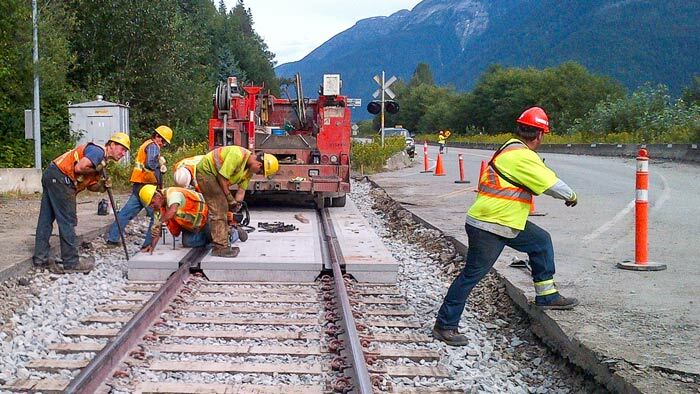 "We receive calls from the general public, the police, school districts, the Ministry of Transportation and other local government agencies whenever there's an issue with roads or bridges," said Davidson. "We use the Flowfinity web client to enter that data at the office. From there we will develop an action plan and a timeline to follow up on it, and eventually add that the issue was dealt with, what the follow up was, and whether we contacted the stakeholder." Next, Nechako built "Quality Problem Report" and "Inspection Report" apps, which are used to collect data and initiate follow-up workflows and email notifications from the field. Road Foreman Supervisors use Flowfinity on mobile devices in the field to log completed work, so that it can be immediately and accurately reported back to the office. "If we find a problem in a highway inspection, we notify a handful of supervisors and trigger a quality problem report where we investigate how the mistake happened, report how we plan to fix it and follow-up when it's fixed," said Davidson. Building the apps was straightforward using Flowfinity's point-and-click app editor. Once deployed, apps can be easily modified, and updates are instantly available for all users as soon as they are published. "Flowfinity is a lot more flexible than our previous solution," said Davidson. "If you have a paper form and you want to translate it into the mobile equivalent, it's very easy to do in Flowfinity." Using Flowfinity has improved customer service levels for Nechako's stakeholders, since communication is now more accurate, pro-active, and quick. Workflows that are built into the solution notify the right people to follow up at each step of the process, from the field to the office. "Flowfinity is an indispensable tool for our stakeholder communications," said Davidson. "A lot of people spend a good majority of their day doing this work in Flowfinity. It's a critical part of our workflow, and it's been very reliable." Nechako took advantage of Flowfinity's data capture options such as drop-down menus to standardize responses from staff in the field. With easy-to-use apps, standardized responses and less paperwork, the data entered is more accurate. "Flowfinity has helped us increase our quality of data, partly because we can make better design choices and modify them easily," said Davidson. "For example we can reflect officially defined standards, wording and rating systems from the government in our mobile forms. We can standardize on exactly what labels are used in the database, and report generation is easier because we don't have two different versions of the same answer." Flowfinity is used for automated reporting, which helps management identify trends and improve visibility into operations. The reports also help improve planning and identifying equipment or areas that need attention. "The reports we've created from Flowfinity data are always a click away for the upper management to look at," said Davidson. "For example we can see how many callers of each type contacted us, what percentage were complaints or compliments, how many did we follow up on, and so on. We can trend over time, and compare year to year the number of issues with different seasons, different areas, or certain pieces of equipment so that we can optimize our service." The system also provides a valuable audit trail for the government. "Flowfinity has enabled us to accurately document road maintenance activity, which is critical for government and Ministry of Transportation audit purposes." "Flowfinity has enabled us to accurately document road maintenance activity, which is critical for government and Ministry of Transportation audit purposes." Since adopting Flowfinity, Nechako has expanded its use of the software to other functions in the business. "Given the success we had with Flowfinity, we expanded our use of the software to other functions," said Davidson. "There is no limit to the number of apps we can create in Flowfinity, so we can extend it to different business processes, drive further efficiency, and increase the ROI of the solution." Flowfinity provides us with an accurate, indisputable record of services rendered, and gives our management team better visibility to support decision-making.